Still debating what to get dad? HBO hits trump terrible ties every time! Got a father figure, dad or father of your kids who's a fan of the mega hit HBO series True Detective? Know an HBO deprived guy who has heard great things but hasn't checked it out yet? Have YOU been dying to watch it on your own schedule which you can get away with if you buy it for "dad"? 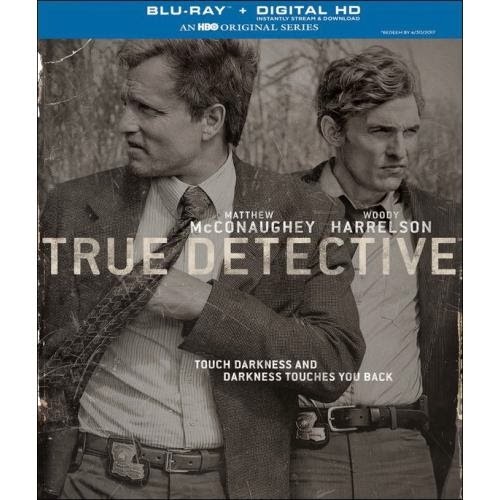 Best Buy is releasing True Detective Season 1 on June 10th! Thoughtful of them--just in time for Father’s Day. Best Buy also has other great HBO promotions going on. HBO All on Sale will be from 6/8 – 6/14 at Best Buy - both in store & online. Also contains a Digital Copy. Click here for all the details. CLICK HERE FOR INFORMATION ON THE SHOW. Best Buy is a great place to get HBO series hits including top pick, True Detective which releases on June 10th, just in time for Father's Day (June 15). Unless you have HBO, they don't kick their streaming rights to Netflix or Hulu, so your best bet is Best Buy! True Detective is the show that CRASHED HBOGo during the finale, and during the season, it was one of the most popular premier shows HBO has had in years!